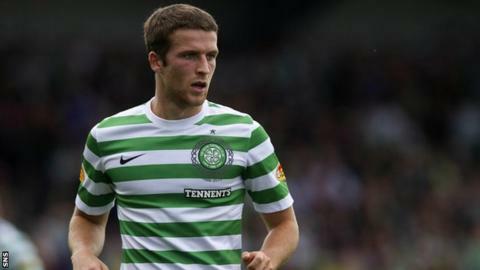 Defender Adam Matthews says he is keen to sign an extended contract to keep him at Celtic. Manager Neil Lennon has opened talks with the 20-year-old former Cardiff City player over a new deal. The Wales international, who signed a four-year deal in 2011, said: "The club is massive, so I am happy to stay. "The club has been great to me and I really enjoy being here, so if I am offered a new deal I will happily sign it, definitely." Lennon said on Thursday that he was keen to reward several first-team regulars with new deals. The Celtic boss said talks were ongoing with James Forrest, Gary Hooper, Adam Matthews, Charlie Mulgrew, Thomas Rogne and Victor Wanyama. Czech twins Filip and Patrik Twardzik signed new Celtic deals this week. "The Champions League is one of the main things [that makes the club attractive], obviously, but the fans are brilliant and it is an honour to play in front of them every week so I am happy to stay," said Matthews. "Every player wants to play in the Champions League but I think even without it Celtic are a massive club, so I am happy here. "The atmosphere against Benfica [last week] was probably one of the best - alongside an Old Firm game - that I have played in. "It was great be a part of that so I am looking forward to the rest of the campaign."